Eliza J. asks: How do people with just one name get around this fact when filling out forms and stuff? Also hypothetically could I change my name to just one name if I wanted or something crazy like Disco Stu or something? Mononymous people, or people with a singular given name, were once the norm throughout much of the world, but are rare in modern times, particularly in the West. As such, most of our infrastructure is built to accommodate people with at least two names- invariably a first name and a surname with the occasional embarrassingly antiquated middle name in homage to some ancestor or other for good measure. Given this, what difficulties do people with only a singular given name face in a society so built to favour the duonymous and trinymous (which Google tells me aren’t actually words but I now officially declare such), and is there anything stopping polynymous people from having a name-change operation to become mononymous? To begin with, the idea of surnames, while popular today, is not universally held on Earth and there are still cultures where children are simply given a singular name at birth. An example of this is Indonesian and Javanese culture where the mononymous are common. The most well-known example of this is likely Indonesia’s first ever President, Sukarno. Despite having only a singular given name, Western journalists in the 1960s sometimes felt it necessary to make up some random second name when writing about President Sukarno to save having to take the time to explain that mononymous people are common in Indonesian culture. As you can imagine, within cultures where a singular name isn’t unheard of, the government has no problem issuing IDs to mononymous individuals and there exist examples of Indonesian passports with only one name listed. Their systems also easily account for the polynymous among us. For instance, in their passports, rather than having separate boxes for a last name and any other given names, they only have a singular box in which a person’s full name, however many distinct entities it might include, is written. In places like America or the UK, such forms are not always so accommodating. This is particularly an issue that impacts foreign students wishing to study in the West, especially when they’re asked to fill in digital forms that don’t allow you to proceed without filling in all the boxes. So what do mononymous people do in these cases? Since not all digital forms are created equally, there’s not really a singular, all-encompassing answer we can give about what happens in these situations. However, the general methods employed here seem to be the tedious route- people are required to either call the institution personally to explain and have an administrator bypass the restrictions manually, or alternatively for some forms a standard character set like “NFN” can be put in, understood to stand for “No First Name”. That said, this seems to be more of an issue for those in the US more than the UK as many places, like British universities, allow foreign students hailing from cultures where singular names are common to simply write their full given name in one of the available boxes and leave the others blank without the back end coding complaining to the user about it. Given such difficulties for the mononymous, most probably would avoid wanting to switch from a perfectly form-acceptable duonymous name to a mononymous. But if you wanted to, could you legally trim the fat of your name and go it solo? As it turns out, in many cases, yes, though with some stipulations. The website goes on to acknowledge that while British Citizen can change their name to virtually anything they like, whenever they want, for any reason by simply filling in a form and paying a small fee, they strongly advise people to not change their name for frivolous reasons. Then again, they note in the same paragraph that there’s not really anything they can do if you do choose to do this. As for what an individual can choose to call themselves, there are only a handful of official rules in place and they’re basically the same rules enforced when you choose to name a baby. Basically, as long as you don’t choose a name that is intentionally offensive or promotes hatred or illegal behaviour or the like, you can change it to whatever you want. On top of this, the website notes that for technical reasons names can’t be over 300 characters long, contain numbers or symbols or feature diacritical‌‌‌‌ ‌‌‌‌marks‌‌‌‌ (umlauts, accents, etc). This isn’t to say that they can’t contain these things in terms of if you want to write them that way, it’s just that they won’t appear that way on official documents like passports. There is no law preventing you from being known by a single name, or mononym — that is, a surname only, with no forenames — and HM Passport Office should accept such a name, although they may be more sceptical of your application. In such cases, individuals will be issued passports in which the field for forename will contain three large X’s and an official observation explaining what’s going on. Though the HM Passport Office is a different and distinct entity to the Deed Poll Office, British Citizens wanting to change their name who hold British Passports are required to convince both offices that their name change isn’t frivolous and as such, changing your name to a mononym is more difficult in these circumstances unless you hail from a culture where it is common. In which case, the Passport Office should process your application without issue. 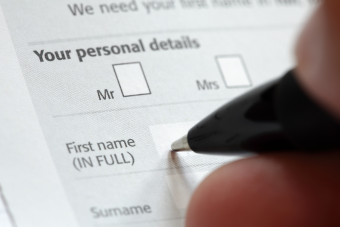 The Deed Poll Office also advises citizens that while it’s not illegal to go by a single name, it makes the process of identifying oneself substantially more difficult and asks people to consider the difficulties they will face in day-to-day life before making a decision to go by a mononym. Across the pond in America, changing your name is a more complicated affair, in part because each US state has its own rules about how one should go about this. That said, for the most part, the rules are similar to the ones in the UK, in that you can generally change your name to whatever you want, within reason- don’t be offensive, don’t try to change your name to something unintelligible, don’t try to change your name to a trademarked phrase or a celebrity’s name (unless you can convince the powers that be that you have a legitimate reason for doing so), etc. The process of changing your name, however, is an altogether more litigious and complex affair, usually requiring you to appear in court and have the details of your name change published to become official. Exceptions to this latter rule include cases where an individual has been a victim of domestic violence. As for changing your name to a mononym, this is generally impossible in the US in all but the most exceptional of circumstances. As a result, only a handful of US citizens have Passports listing a single name. Along with natives of cultures where singular names are common, people known to be legally recognised by a single name include the singer Cher and latter (silent) half of the magician duo, Penn and Teller. The reason changing your name to a mononym is so difficult in the US is because (in most States), as mentioned, changing your name requires you to physically appear in front of a judge and justify the name change. Such a judge is unlikely to grant a request to allow a person to go by a mononym due to the inherent difficulties having such a name can cause. For people like Cher and Teller, who’ve been near-universally known by their respective mononyms for decades, this isn’t as much of an issue as for those of us who can’t just throw lots of money at any problems that subsequently pop up; the fact that they’re both famous also probably helped their case with their respective judges. For those curious about what Cher and Teller’s passports say in the box listing their first name, rather than a series of X’s like in the UK, US passports instead put the aforementioned abbreviation “NFN” (No First Name). Interestingly, 46 states allow a citizen to bypass part of this process and change their name “by usage”. This basically means if you go by a given name for long enough and can prove that fact, you can adopt that as your new name, though you’ll still need a court order to make it official for a passport or the like. When this happens, similar difficulties to those mentioned above can arise. Putting even the quadnymous among us to shame, Pablo Picasso’s real name is Pablo Diego José Francisco de Paula Juan Nepomuceno María de los Remedios Cipriano de la Santísima Trinidad Ruiz y Picasso. In England, surnames started becoming standardized—that is, John Peterson would have a son named William Peterson, rather than William Johnson—around the reign of King Henry V. He decreed that surnames needed to be recorded, and it was getting confusing to have the several generations of the same family all with different last names. Beyond academia, people with a singular given name may also have trouble signing up for Facebook, since the site insists on users registering with both a first and last name as part of its “Real Name” policy. Users attempting to sign up to the site under only a singular name or a name that many would consider unusual have frequently (and controversially) found themselves banned from the site in the past for no good reason. In many situations, the users have been forced to provide Facebook admins with proof of their name with varying degree of success at getting reinstated. This is an issue that seems to disproportionately affect Native American users with Facebook admins banning users with names like “Creepingbear” and “Lone Elk” after other users reported them as being fake. Can Japanese/non-Japanese have a mononym or middle/multiple given names? My Father’s full legal name is ‘Nelson.’ He had it changed to this name by court order in Montana in 1951. And, yes, it has caused paperwork nightmares throughout his life. “duonymous and trinymous”? How about binomial and trinomial? I own a business called “7s Oddities”. I have been called “7” for 20 years now. If someone calls me by my birth name I know they have known me for over 20 years. I want to change my legal name. Can I change my name to just “7”? Or can I change it to “7” then my latest name? Are you allowed to have only a single alphabet as your legal last name in the US/UK?